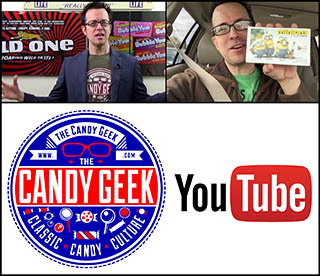 ← Full Set Friday: World Market’s Adventurous Filled Chocolate Bars! Today’s Full Set Friday is a more typical example of setting out to “collect ’em all”, in that it is a classic brand and a broad assortment of currently-available flavors. 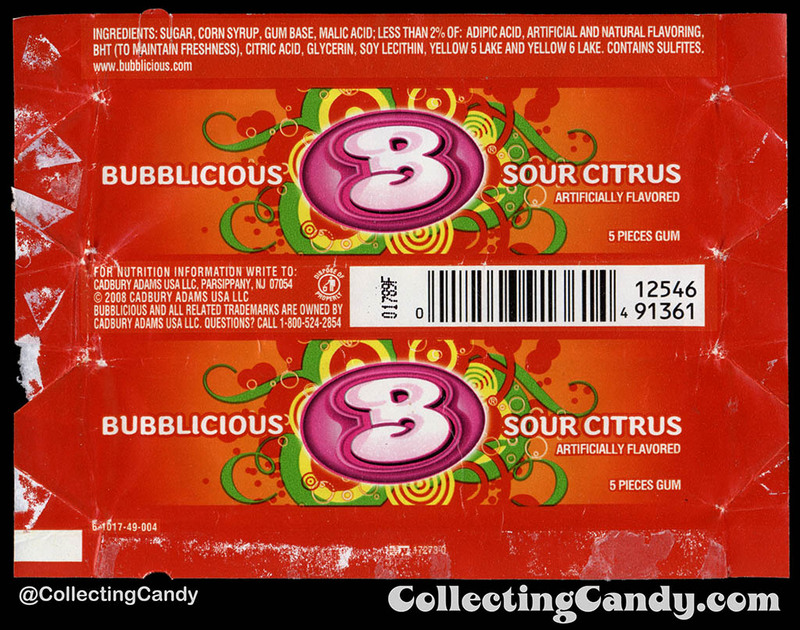 When I committed to putting together a set of current Bubblicious bubblegum wrappers a few years ago, it took a while to even suss out just how many there were as there was no list online or otherwise to refer to, but I eventually did figure it out and assembled the full set presented today. Make the jump to check it out. 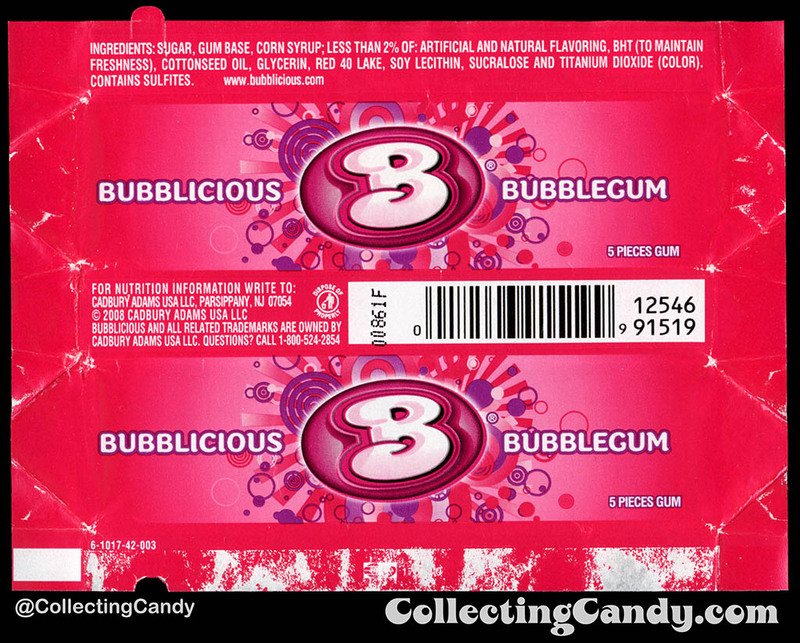 It’s been a few years since I put together this contemporary Bubblicious bubblegum wrapper set – it was 2012 to be exact. 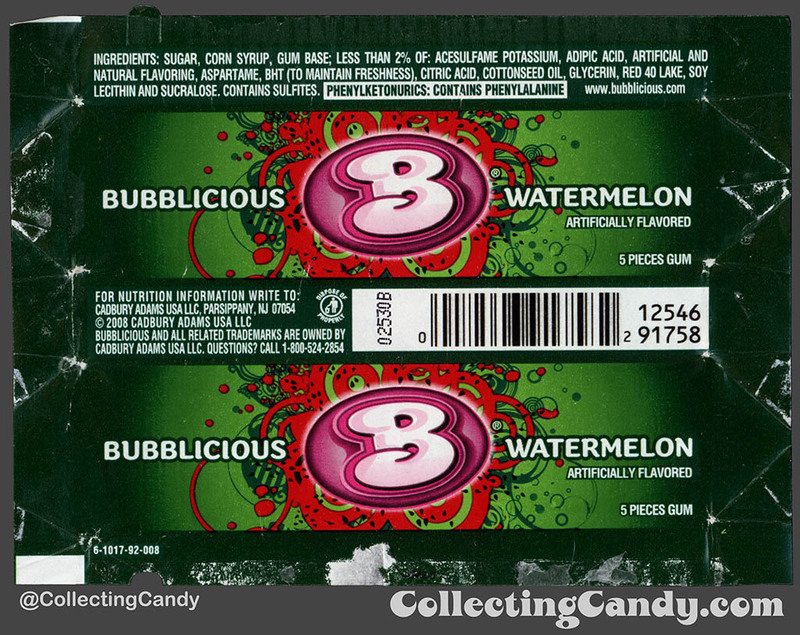 Recalling back to when I first set out to collect them all, I had assumed that I’d find no more than half-a-dozen flavors, but it turned out there were ten different to discover. 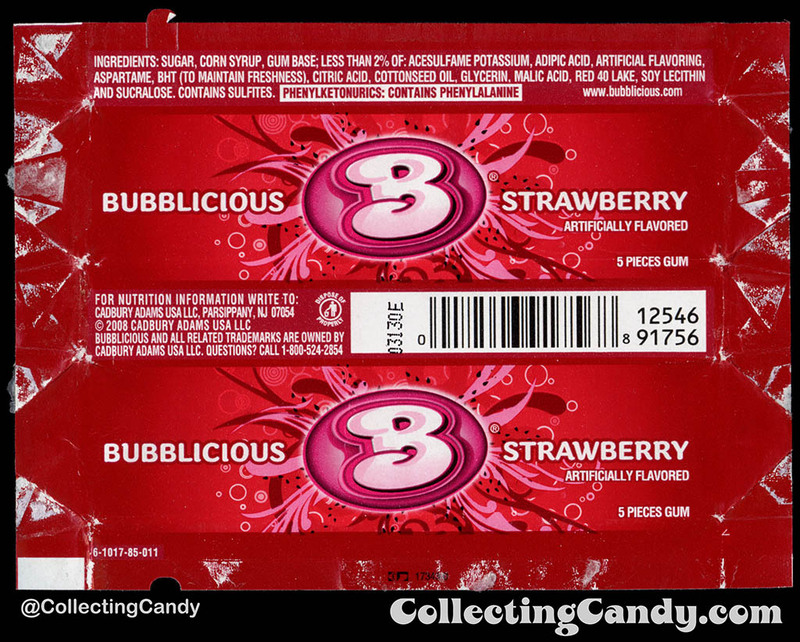 It took me over a month of hunting Bubblicious, tracking down certain examples in out-of-the-way locations before the full set was assembled. So the variety of flavors was not getting evenly distributed at the time, with a few presenting a real challenge. 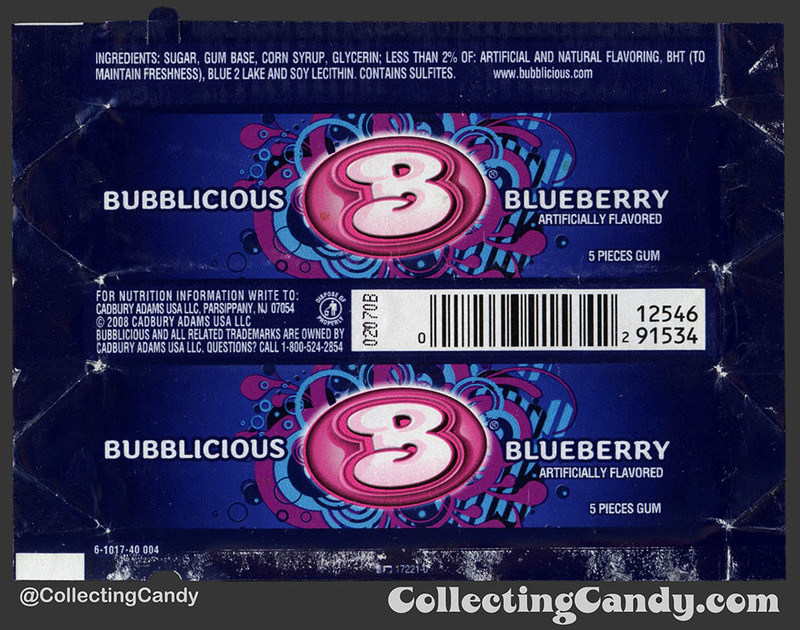 Since it’s now a few years after I put the full set together, and since Cadbury-Adams has now become Mondelez, I’m not sure if there are still as many flavors of Bubblicous made today as I when I assembled these. 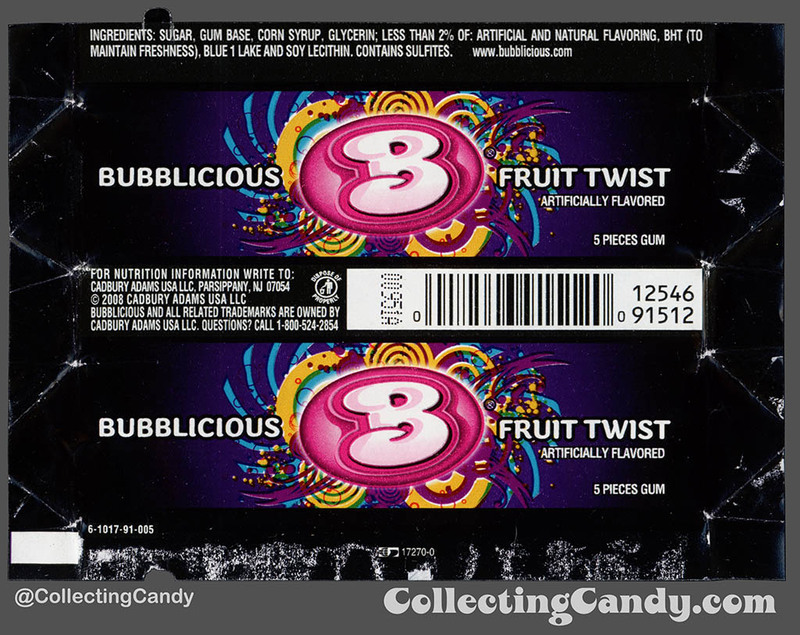 I can say that the wrapper styles found on shelves for the brand have not changed so these should be considered the current versions and the most up-to-date “full set”. Even so, it’s probably worth double-checking that assumption, so I’ll be going out and doing some new retail sampling after today. 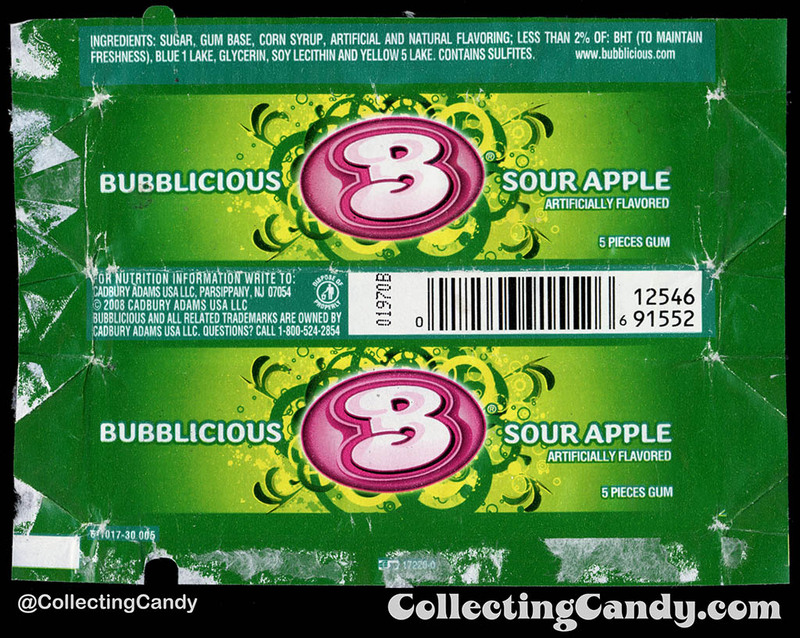 That’s all ten wrappers for the full variety of contemporary Bubblicious flavors. 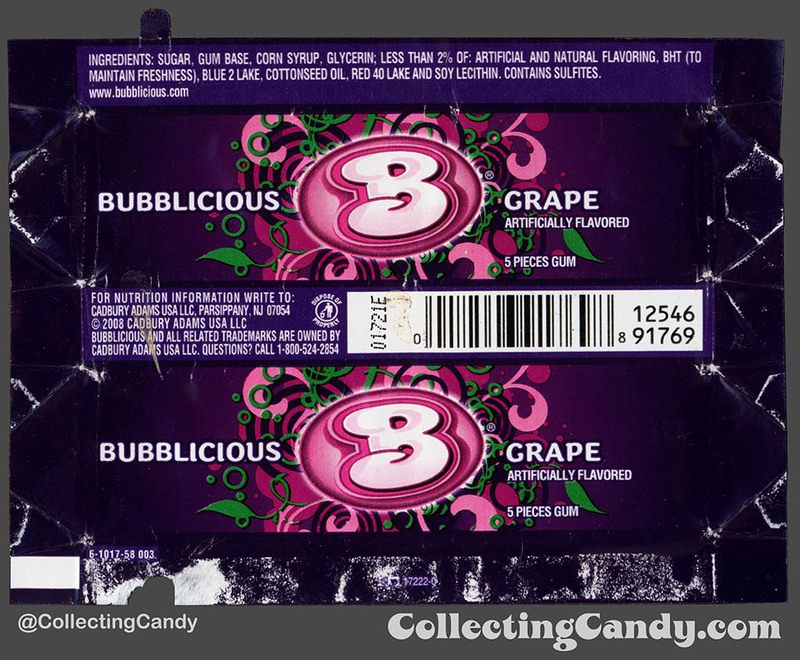 The current Bubblicious package design has been in place since 2008 and is probably due for a logo or packaging design refresh. Not sure if that refresh is coming soon or years from now, but when it does I’ll be ready to build a whole new Bubblicious “full set”. 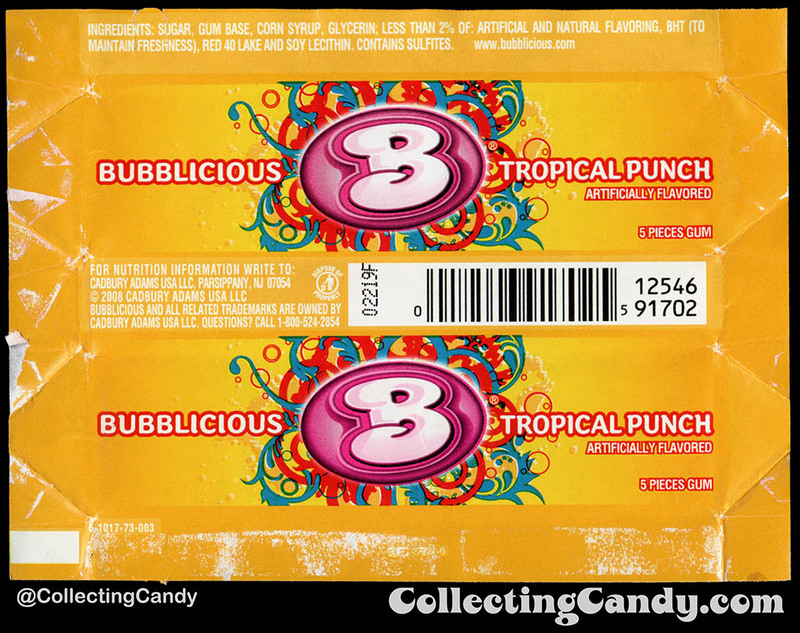 And that’s it for another edition of Full Set Fridays and our look at contemporary Bubblicious bubblegum wrappers. Hope you liked it and I’ll see you next time! 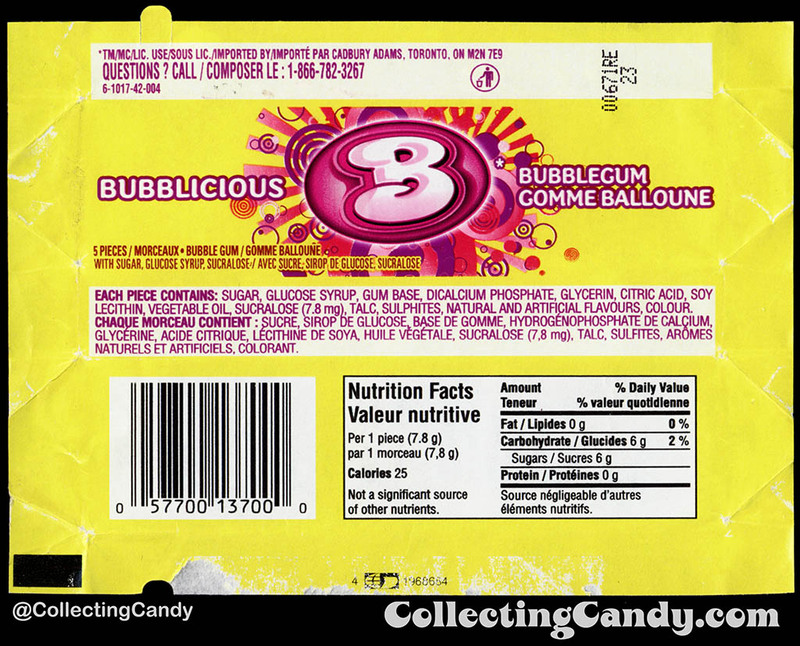 This entry was posted in Bubble Gum, Full Set, Gum and tagged bubble gum, bubblegum, Bubblicious, candy collecting, candy collection, candy collector, candy wrapper collection, candy wrapper collector, collectible, collecting candy, confectionery, confections, Mondelez, packaging, packaging design, soft-chunk, softchunk, sweets, vintage candy wrappers, wrapper. Bookmark the permalink.